As I get ready to leave for Japan, I think a lot about these women. 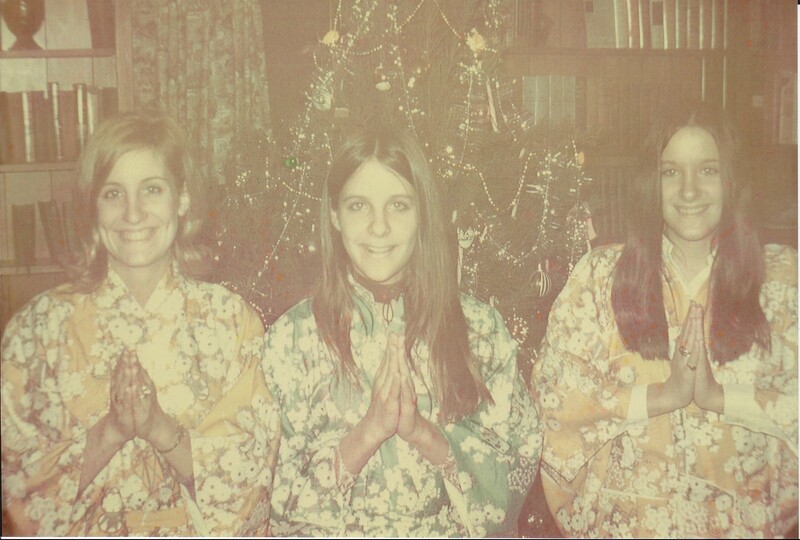 In the 1970s my mother traveled alone to Japan on her annual leave from Pan Am. This photo is from shortly after her return: my mother (on the left) and my aunts. These strong, ambitious, adventurous women who are part of the tapestry of people I love and on whose support I stand.